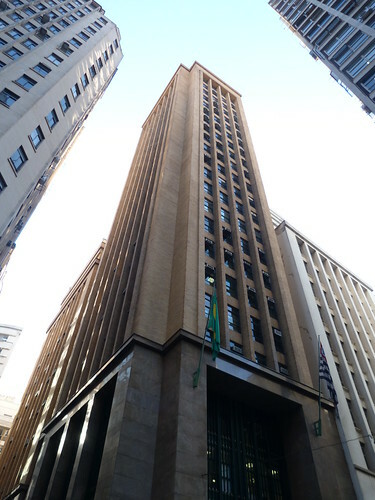 This shot captures my memories of the area around Rua Quinze de Novembro in São Paulo. 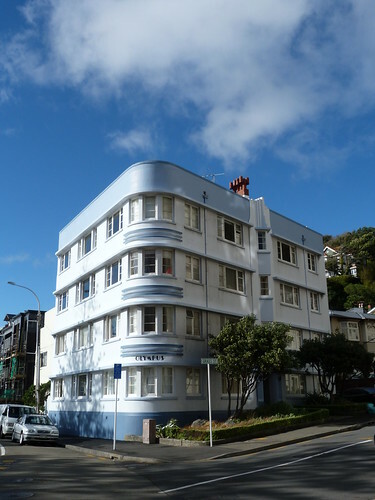 I reckon the skyscraper is probably post-WWII but it still has something about it. 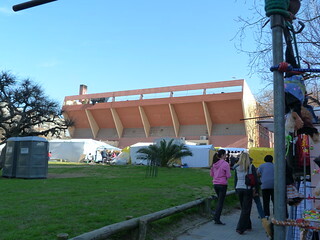 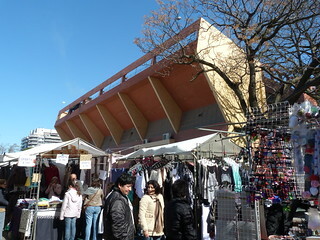 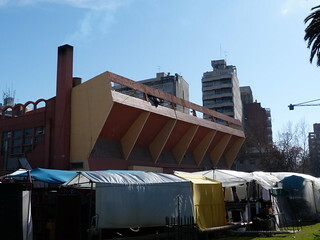 I can't remember what we saw first, the market or the modernist stadium. 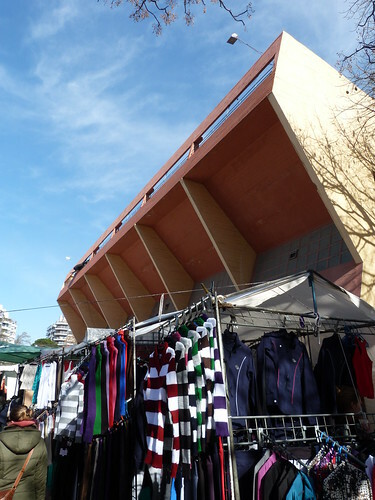 In any case we were close to our destination so it was worth getting off the bus and to have a stroll around the market stalls and take in the Club Biguá de Villa Biarritz. 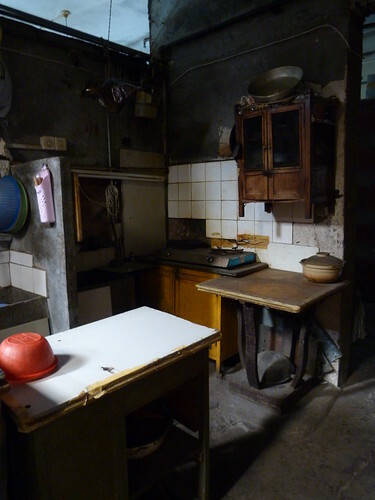 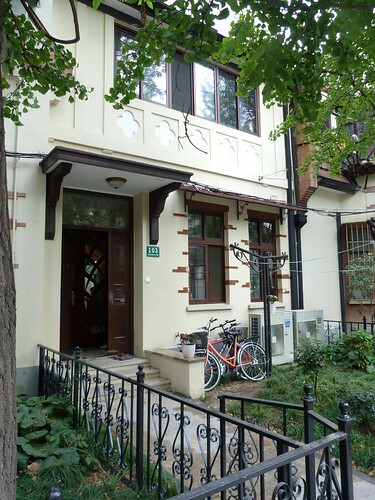 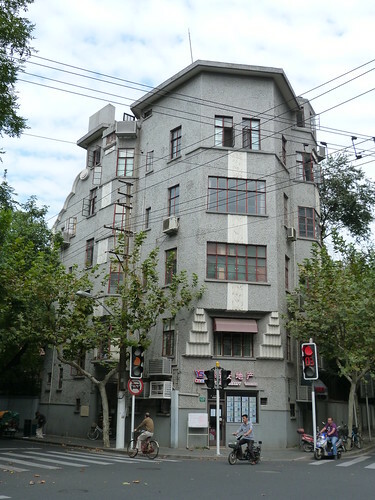 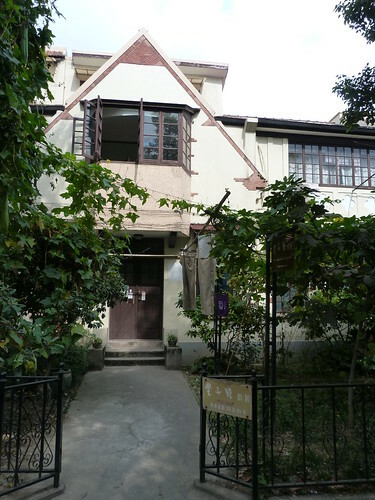 Midget Apartments on Wukang Road in Shanghai date from 1931. 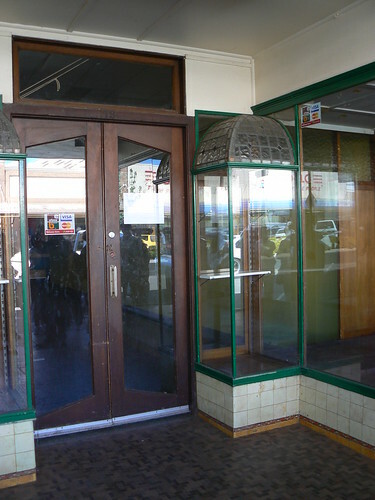 They have been altered since then. 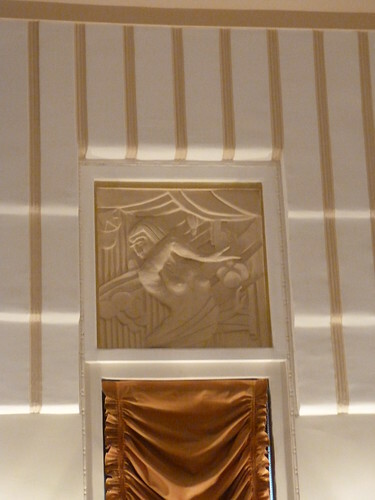 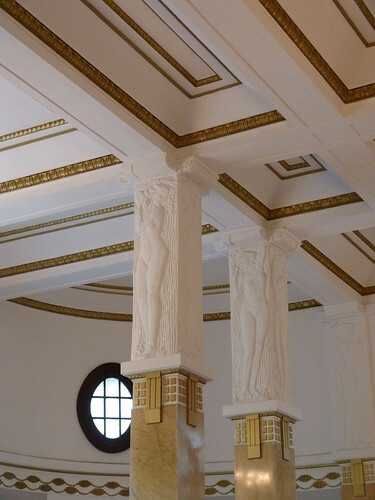 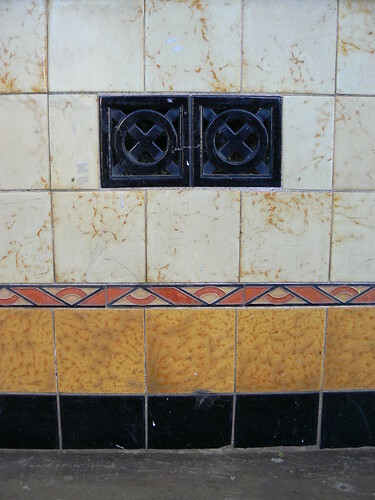 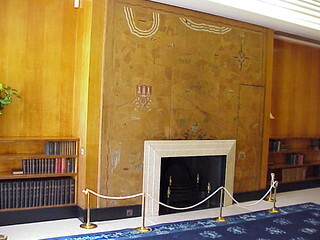 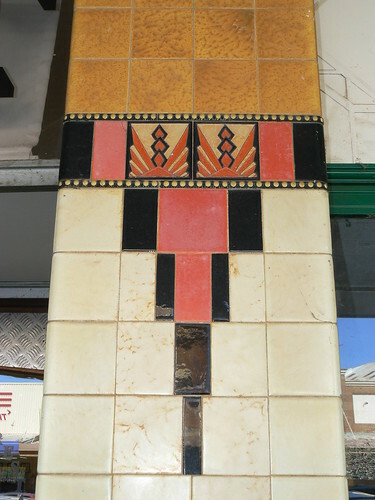 The balconies on each side have been enclosed and a new door has been punched through the corner to serve the business located on the ground floor but these decorative panels have survived. 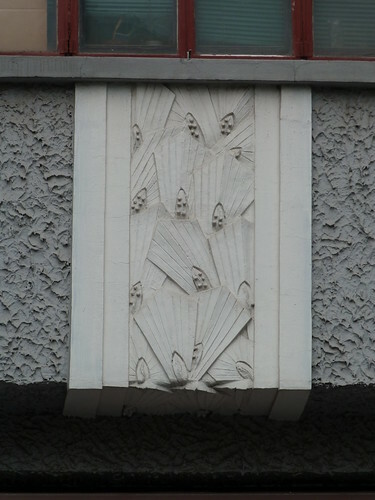 While some apartment buildings in Shanghai are not overtly Art Deco in style they sometimes have deco elements such as this concrete balcony and the entrance of this block. 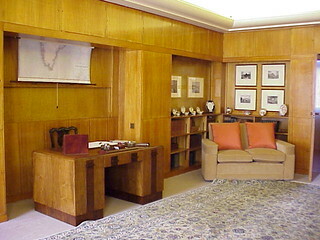 Often they have a communal kitchen on the ground floor but I wonder how many have an Art Deco table like this one providing extra bench space. 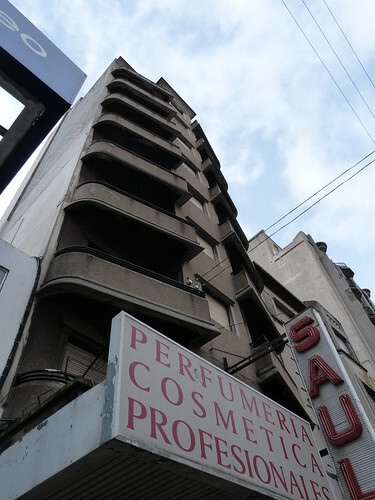 I think this is 1625 Avenida 18 de Julio in Montevideo. 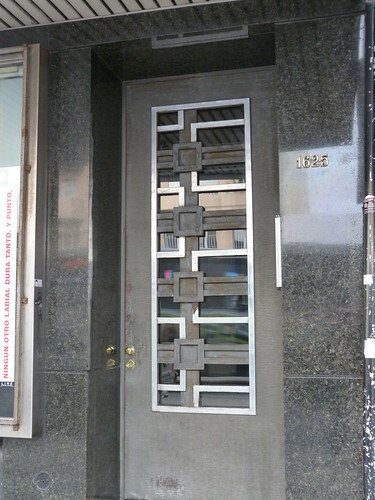 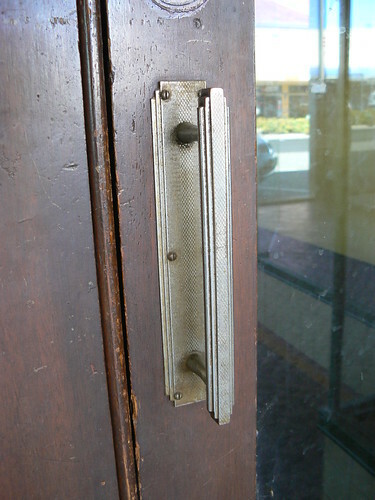 My notes are somewhat lacking in the exact detail but certainly the number next to this Art Deco door reads 1625. 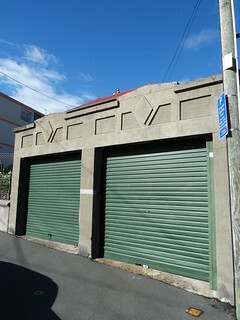 A nice pair of Art Deco garages in the Wellington suburb of Mount Victoria. 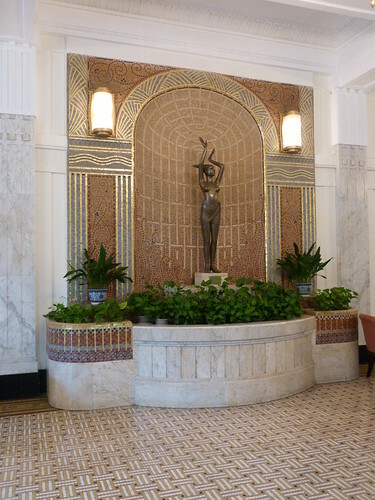 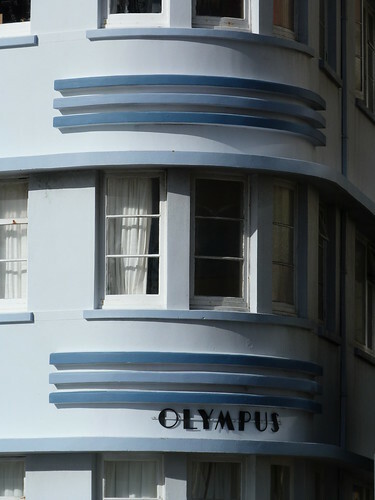 This is Olympus, an Art Deco apartment block in Oriental Bay. 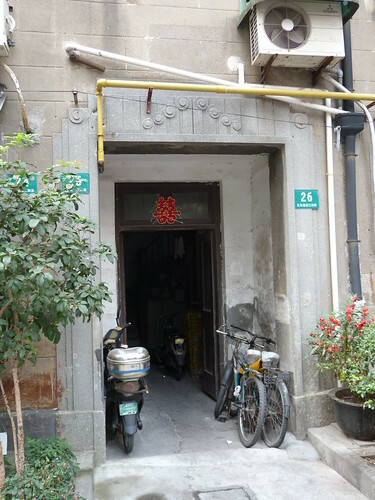 The entrance is in the side street, away from the bay. 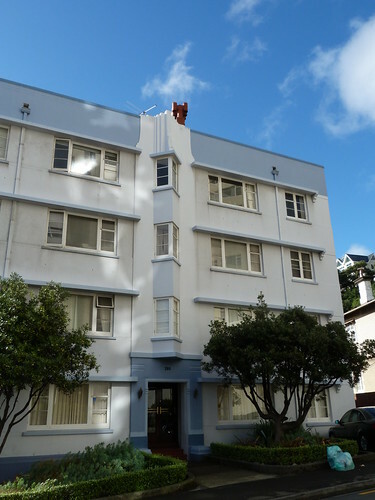 I suspect this is a nice feature when Wellington's notorious winds are blowing straight off the sea. 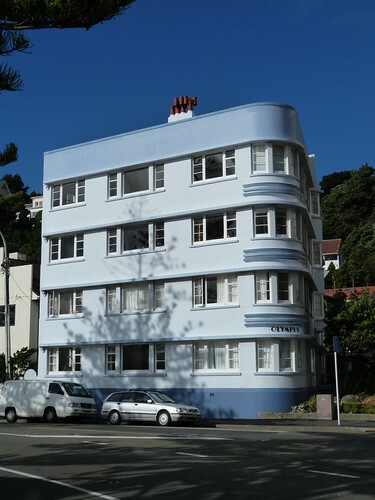 Placing the doorway away from the seafront allows the views across the bay to be maximised. 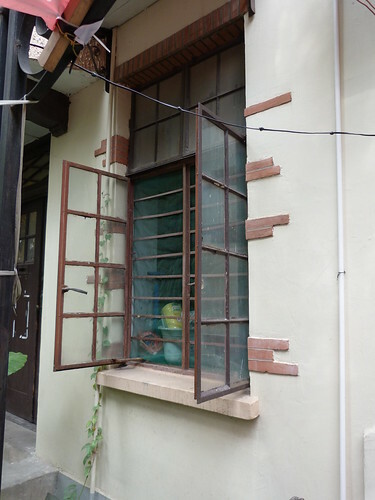 This looks like a striped-back spanish mission style. 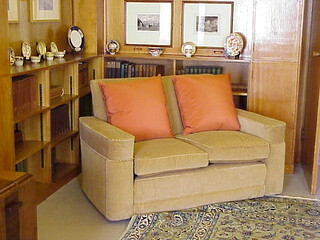 What do you reckon? 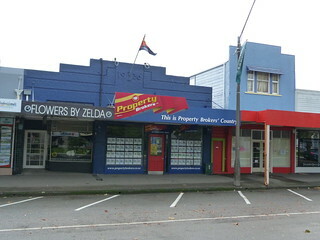 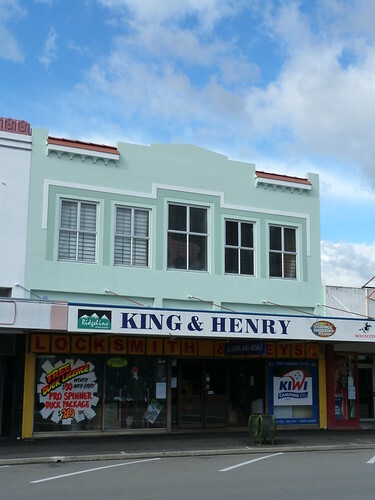 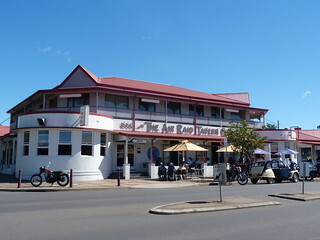 Group of Art Deco shops in Pahiatua dating from 1936. 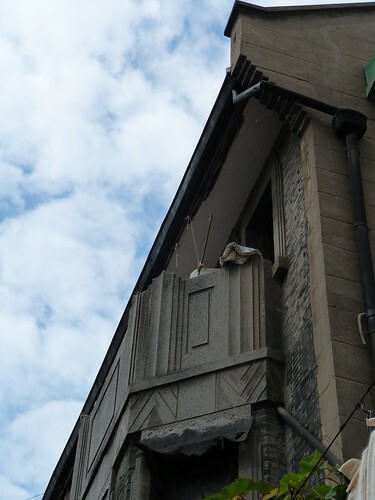 Nice to see the flagpole, not only still there, but being used. 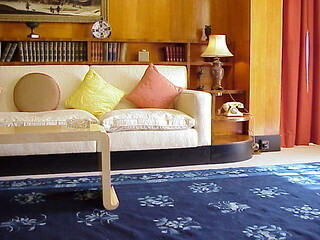 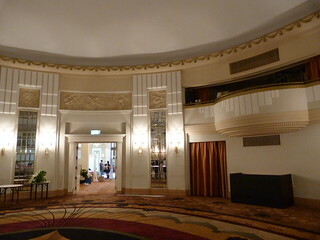 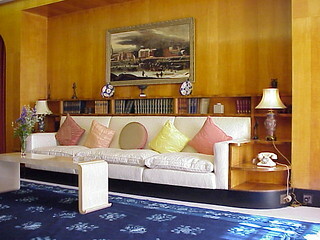 The Okura Garden Hotel grew from the old French Club in Shanghai. 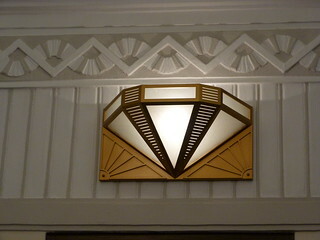 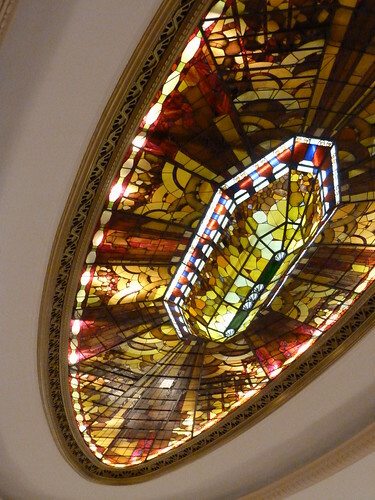 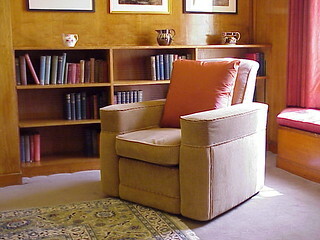 It has some lovely interior deco features.